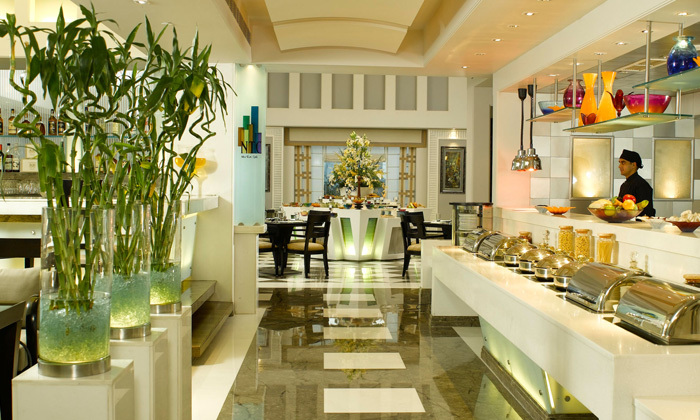 Set within the Park Plaza in Sushant Lok Phase 1, Gurgaon, New Town Cafe is an all-day dining restaurant that is known for offering dishes of global cuisines. They offer an extensive menu that includes Indian, Pan-Asian and European dishes. Customers can watch the chefs at work at their interactive show kitchen preparing the best delicacies from around the world. The restaurant features a vibrant colorful ambiance with perfect settings of formal and casual meals with friends, family or colleagues. 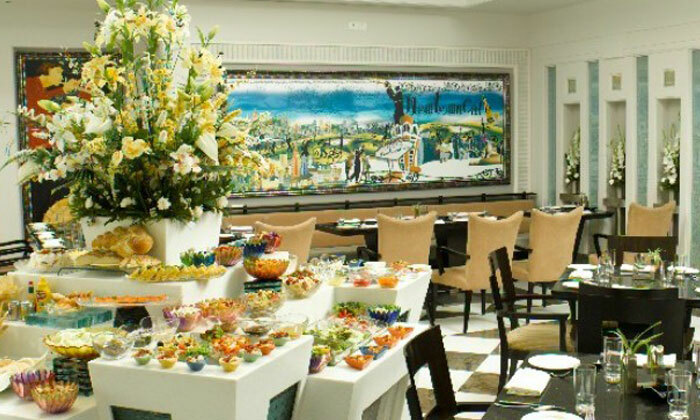 With buffer and Ala Carte options to choose from, a culinary delight is assured with every visit.